The DJ and team at Platinum DJ Entertainment have received countless awards from prestigious wedding companies for their unique and fun services. They not only play great music according to your tastes, but they can also facilitate the ceremony as the master of ceremony, provide romantic lighting and even a photo booth. The reason this company is so highly sought after is because the DJ, Brandon offers a personalized service that will exceed your expectations of a San Antonio disc jockey. There is a reason the soundtracks of movies are so important. The music makes you feel even more than you would have just watching the film. 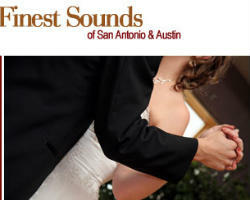 Finest Sounds works to provide a soundtrack to your wedding reception that will heighten the emotions and experiences. For each event that they serve, they work with clients to discover their tastes in music as well as their personal style. This helps them to create a one-of-a-kind playlist that is completely unique for each and every event. 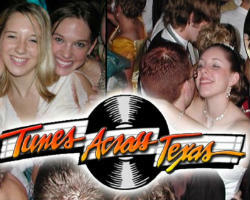 Tunes Across Texas has been providing the soundtrack for weddings for over twenty years. Their vast experience has allowed them to perfect their services, making each event they DJ and host go as smoothly as possible. 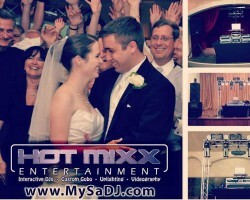 Whether you simply want music to get everyone dancing or would also like an MC, this DJ can bring your event to life. Truly, the DJ is an entertainer, which is why he works with clients to compile a list of music for their event that suits their style and will be fun. The DJ at a wedding generally also acts as the master of ceremonies, a role that sets the tone for the entire event. DJ XL brings a unique flare and style that will keep you and your guests energized and dancing all night long. 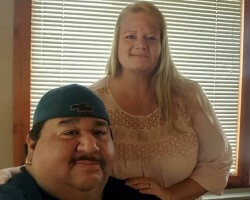 This San Antonio DJ has been working in the industry since 1975, so you can rest assured that this company knows how to entertain. They encourage potential clients to read the reviews of their work to feel comfortable booking them to DJ, facilitate and light their wedding reception. Reviews of DJ Vega’s work have earned him the title of being the best DJ in 2015 on wedding.com. This prestigious title is only given to the very best in their field of the wedding industry. In addition to playing great music, this DJ can also provide Karaoke, event coordination, shuttle services, lighting and video. By offering a combination of these services in packages as well as an a la carte service, every client can find the services they need without breaking the bank. 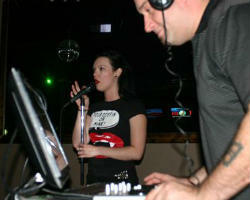 Great Sounds Entertainment is a company of entertainers rather than DJs. 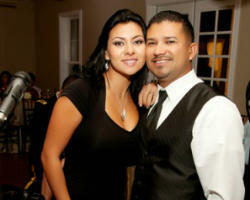 This wedding DJ specializes in making your wedding go as smoothly and as in sync with your event style as possible. Whether you want classic dinner music or chart topping guilty pleasures to get everyone dancing, this company can bring your event to the next level. They have over 800,000 songs, 200,000 music videos, and 150,000 karaoke tracks to use at your command. Let these entertainers take the reins and make your event even more exciting. In addition to playing amazing tunes, Hot Mixx Entertainment can also provide Emcee services, event videography and lighting. With over 16 years of experience, this company has grown in services and size because of their stellar reputation. They not only offer to work with clients personally to ensure their event music is exactly to their liking but they offer these services at affordable prices. Whether you want to have a traditional ballroom affair or something more contemporary, this company can provide you with the perfect music and more. 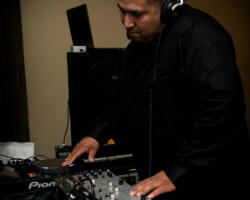 Power Sounds is one of the best DJs in San Antonio, TX, which is why the company has been hired to provide musical entertainment at countless weddings and area events. This company provides so much more than simply playing great tunes, they can also provide custom lighting and even play a video or slideshow of the couple. This DJ company specializes in weddings, but with a large inventory of music both classic and contemporary, the team is also reserved for community events, holiday parties and proms. 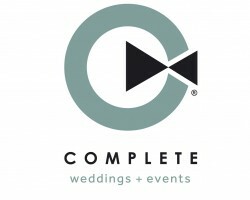 COMPLETE weddings + events has been serving Central Texas special events of all kinds since 1988. By offering multiple services, such as Photography, DJ, Videography, Photo Booth and Lighting we keep our pricing affordable without sacrificing quality. Along with our intense focus on quality, we firmly believe that having multiple entertainment services under one roof provides an excellent solution in planning for a great event. We are a highly relational organization with an intense focus on exemplary customer service. Big Tyme Entertainment best DJ/MC for your wedding. Professional, Entertaining, Affordable and Insured. We provide Ceremony Music, Rehearsal, cocktail and dinner music, and reception fun music to make your event special. Help is provided to you for the timeline and music selections. 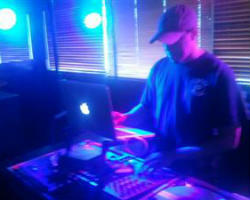 Every show is provided with quality sound equipment and DJ lighting for the dance floor. 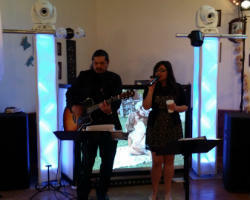 We know your event is special and we provide the music and professionalism to make that happen for you every time!